Two cases of peripheral odontogenic myxoma with a verifiable location in gingival soft tissue and without bone involvement were compared with those reported in the literature. This study showed that they form a distinct albeit rare clinical entity with a potential to grow into large disfiguring lesions. 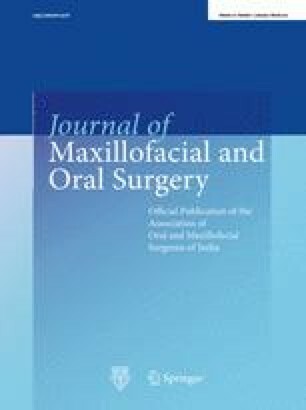 The probability that small peripheral odontogenic myxomas are interpreted as edematous irritation fibromas may contribute to the small number of peripheral odontogenic myxomas recorded in the literature. The differential diagnosis of soft tissue myxoid proliferations is discussed.